Not sure what to give? Let your special someone decide and why not include some your own suggestions with it! 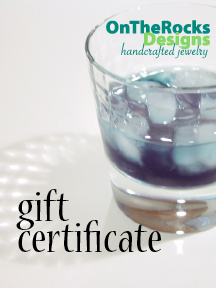 To send a Gift Certificate you need to go add Gift Certificate to your shopping cart. Select the amount you would like to send. When you send a Gift Certificate, you need to specify the following. The name and email address of the person you are sending the Gift Certificate to. A short message which will appear in the email. Please ensure that you have entered all of the information correctly, although you will be given the opportunity to change this as much as you want before the email is actually sent.